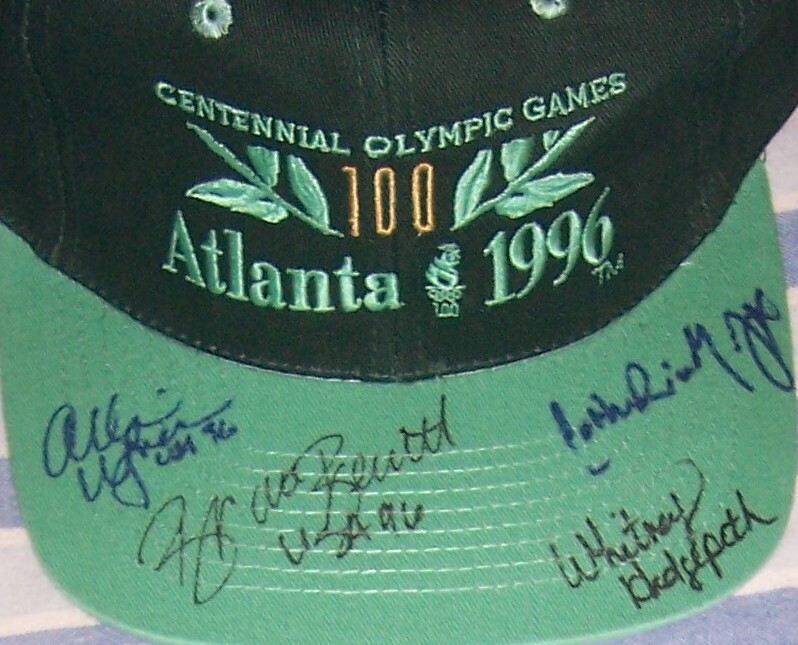 1996 Atlanta Olympics green embroidered cap or hat autographed on the bill by four female members of the swim team, all of whom won at least one silver or gold medal in Atlanta: Brooke Bennett, Catherine Fox, Whitney Hedgepeth and Allison Wagner. 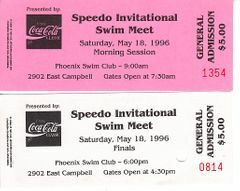 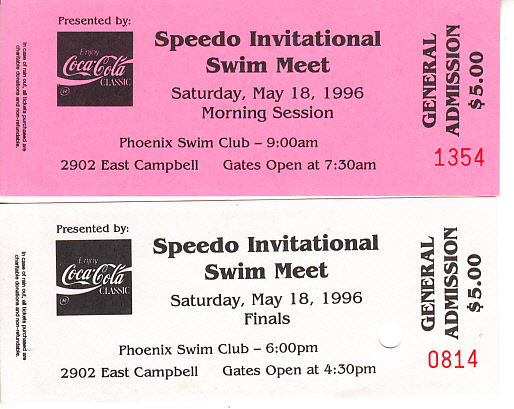 Obtained in person at 1996 Speedo Invitational Swim Meet in Phoenix, with meet tickets and certificate of authenticity from AutographsForSale.com. ONLY ONE AVAILABLE FOR SALE.